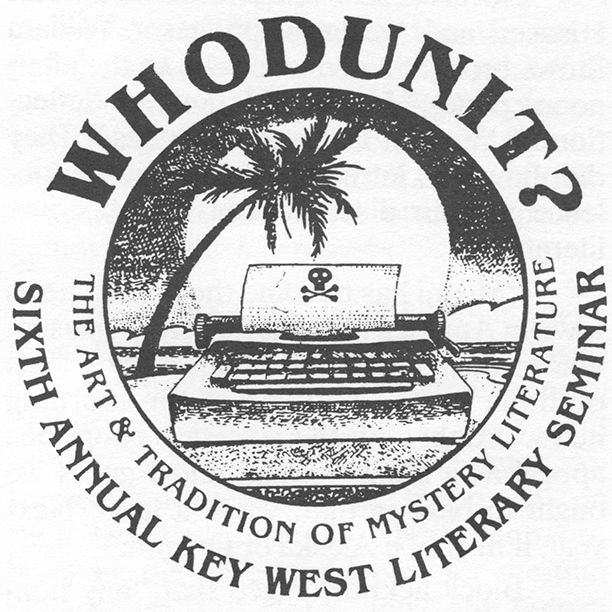 Coverage of the 1988 Seminar: "Whodunit? : The Art and Tradition of Mystery Literature"
Presenters: John Ball, Howard Browne, Ray B. Browne, Matthew Bruccoli, Knox Burger, Mary Higgins Clark, James Crumley, Paul Erdman, James Wilson Hall, Carl Hiaasen, Tony Hillerman, Joan Kahn, John Katzenbach, Elmore Leonard, Dennis McMillan, Otto Penzler, Marilyn Stasio, Richard P. Sugg, Irving Weinman, Donald Westlake, Charles Willeford, and Robin W. Winks. Audience members at the 1988 Whodunit? Sixth Annual KWLS. The book sale at the 1988 Whodunit? KWLS. KWLS project director Lynn Kaufelt at the information desk. (L-R) Professor of Film Studies Richard Sugg, film critic Sheila Benson, and novelists Elmore Leonard and Donald Westlake during their panel, "Mystery Literature and Adaptation into Film". Mary Jane Robertson has a book signed by author Lawrence Block. Peg Murphree at the information desk. Author Elmore Leonard at his book signing. Authors Elmore Leonard and Mary Higgins Clark pose for a photo with KWLS project director Lynn Kaufelt at a reception. Author Donald Westlake with Ellen Violette, author Mary Higgins Clark and Mrs. Abigail Westlake at a reception. Kimberly and Les Standiford with fellow author Ernie Bulow at a reception. Poet and literary biographer John Malcolm Brinnin at a reception for the 1988 Whodunit? Sixth Annual KWLS. Publisher Barley Allison and Desmond Elliot with poet John Malcolm Brinnin at a reception.